Ammunition can greatly affect the efficiency of a gun, pistol, rifle or the firearm it is paired with. It is indeed an indispensable part of hunting, shooting, competitions, tactical missions and other activities. 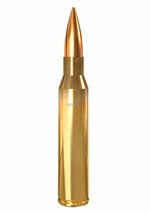 Find an amazingly precise selection of ammunition for sale from leading manufacturers such as Lapua, Sako, Norma, etc. for utmost accuracy and successful shots at the range or in the field. They are of superior quality and made to deliver reliable performance. Select your ammo on the basis of various types of bullets, bullet weights and calibers, and shop now.